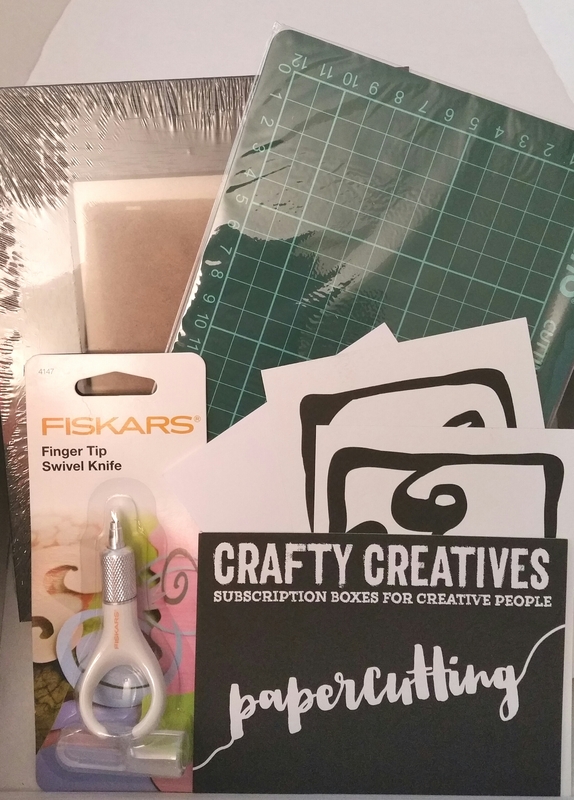 Crafty Creatives is a fantastic subscription box which delivers an exciting craft kit to you every month. I love crafts and am keen to try out new ones, but the thought of buying loads of equipment only to discover I don’t like the craft after all scares me. That is why Crafty Creatives is so perfect! Every month you receive everything you need to complete a wonderful craft project, so you don’t have to spend a small fortune to see if you like it. I have to say though I subscribed around 6 months ago and have loved everything they have sent! Thanks to Crafty Creatives, I have made a fascinator, mosaic hearts, lip balms, a rolled wool trivet, and Hama bead coasters. The October box was amazing! I have seen some stunning works of art made from papercutting and have admired their intricacy. I had wanted to try it but hadn’t known where to start! Luckily for me, this box gave me everything I needed to make 2 beautiful designs. 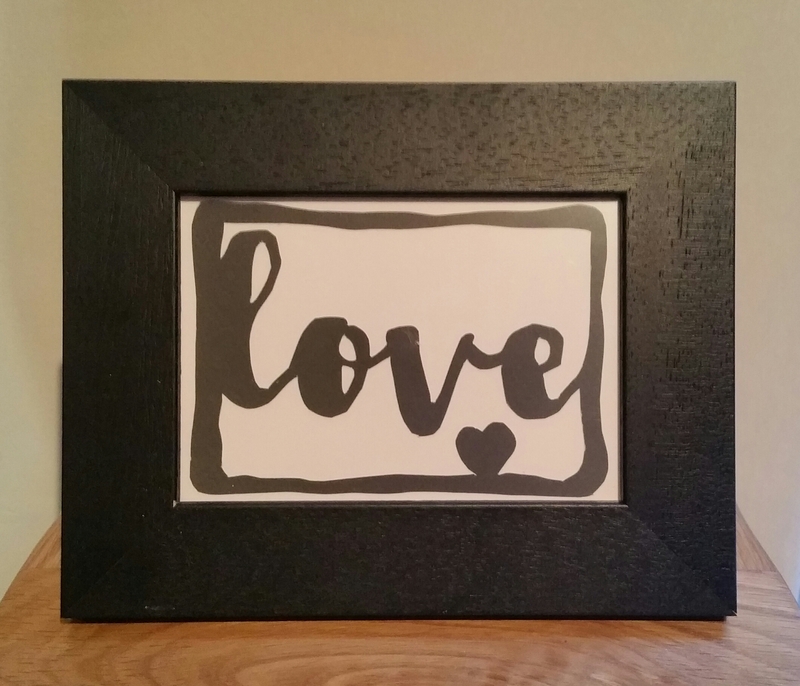 Included in the kit were a self-healing cutting mat, a finger tip swivel knife, a picture frame, and the 2 designs to cut out along with the paper to mount them on. I was a bit nervous when I saw the swivel knife as it looked like it might be a bit tricky to get the hang of, but I was wrong thankfully. You hold it like a pen and it hooks comfortably around your finger, which makes it so easy to manoeuvre, and provides support when you move it around. The blade is what sets this knife apart from other craft knives. It turns smoothly as you change the direction of your hand! That means you can cut out any shape without having to move the paper or take the blade off the sheet. Fantastic! This box was worth having just for the knife!!! The two designs were lovely modern ones…. words with a little symbol linked to the word. I cut out Star first as I knew I would prefer the Love one if my first attempt went wrong. I needn’t have worried though as they both turned out beautifully. 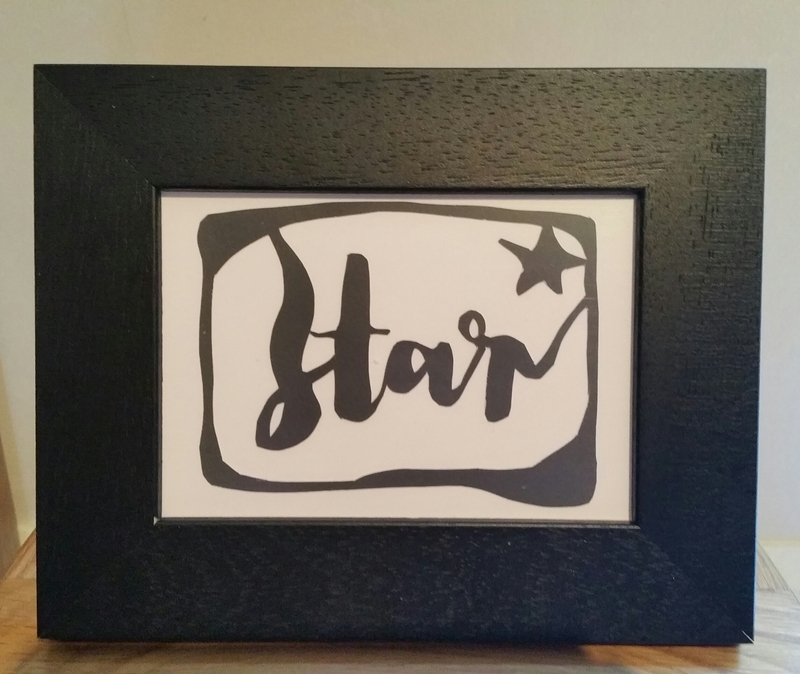 I have kept Love in the frame provided and as my son is my little star, he has the star one in a frame in his bedroom. I definitely feel confident to carry on with papercutting projects, especially with this amazing swivel knife! It was such a therapeutic relaxing activity. Some crafts can take ages to produce finished pieces. This was relatively quick and easy, so great for people who like to see results fast! (EDIT 12/09/2018: Unfortunately Crafty Creatives has just closed their subscription box). DISCLAIMER: This is my own honest opinion of Crafty Creatives. I receive no fee/discount/compensation and I pay for my subscription in full. All views are my own.